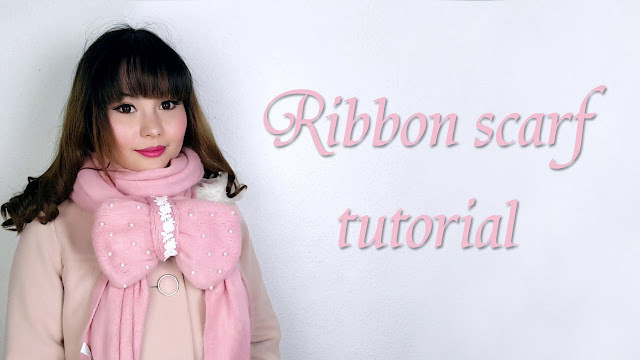 I made tutorial for a Liz Lisa inspired ribbon scarf. It is my first project this year but I really hope I can make more tutorials this year than the year before! 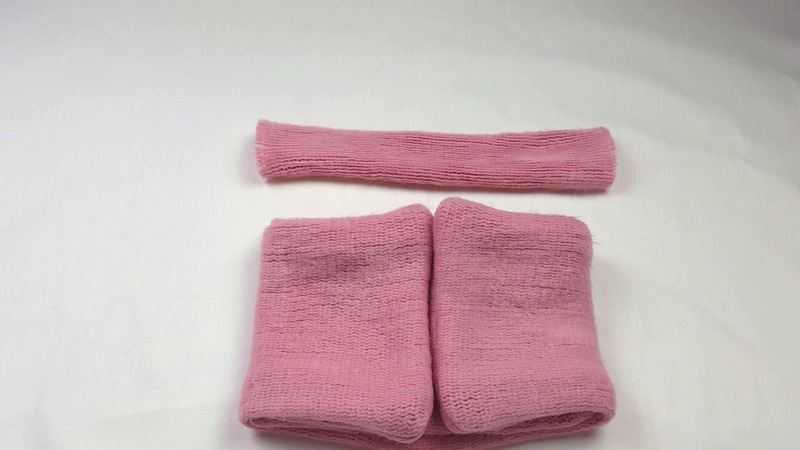 either a scarf or fabric (wool, knit, jersey, etc). I bought two cheap scarves from Primark and cut one. 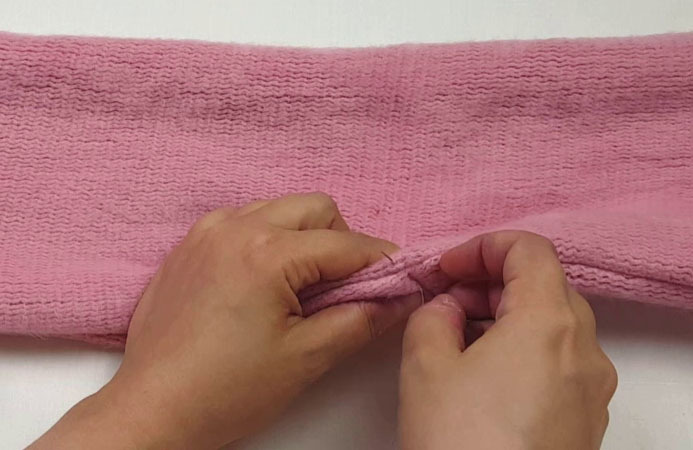 Lay out your fabric in a double layer. The first part had the measurements 54cm x 19cm, that already included 2cm sewing allowance on each side. I used pins for guidance because I couldn't use chalk or any other pen. The next step is to cut it. 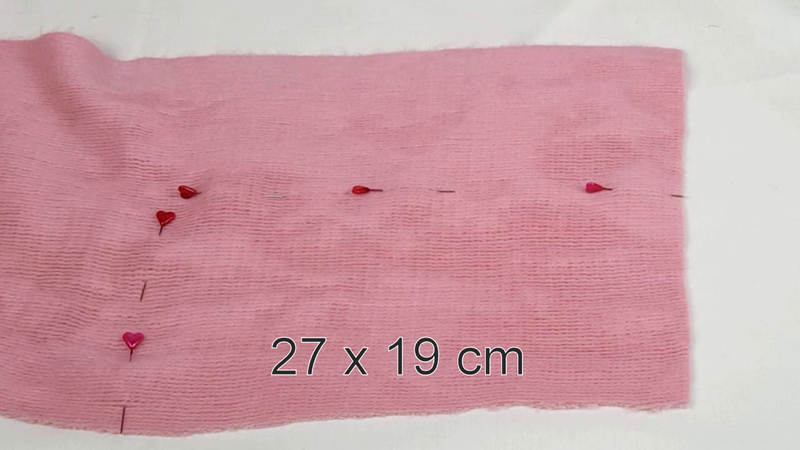 Sew all sides but leave a gap of about ~10cm on one of the longer sides. Cut the corners and afterwards turn the piece inside out. 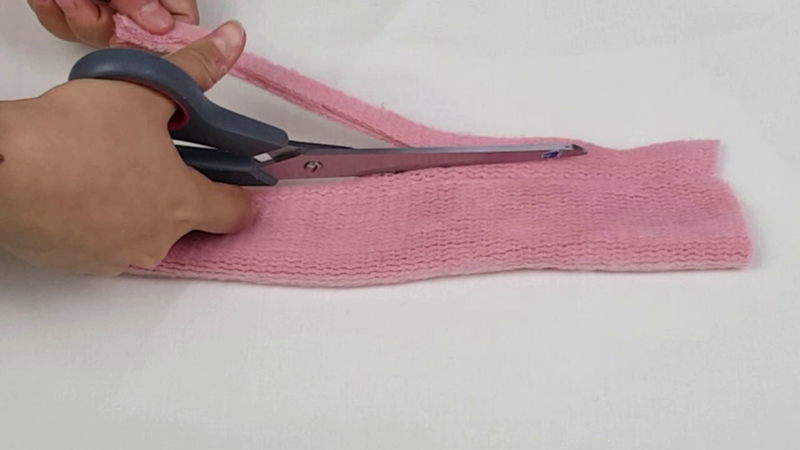 Close the gap with a whip stitch. 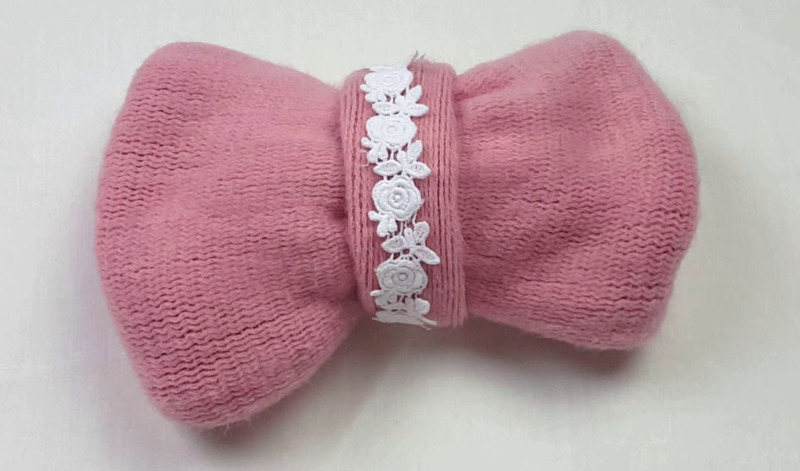 Part two has the measurements 27cm x 19cm and the sewing allowance is included too. For this piece you only need one layer. 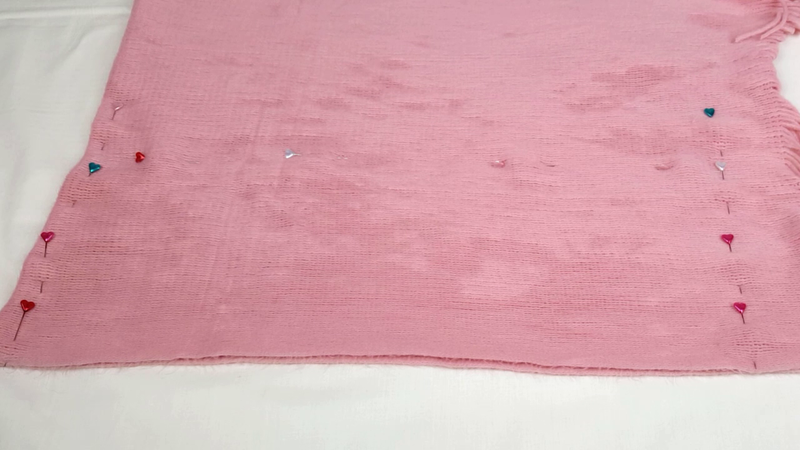 Cut out your piece and fold it. Mark your sewing allowance and sew it. Cut away the excess of the sewing allowance. Then turn around this piece as well. Fold the first piece as seen on the picture. Make sure that both sides are about the same length. Whip stitch both sides together. Optional: Stick pins into the fabric so it doesn't slip. 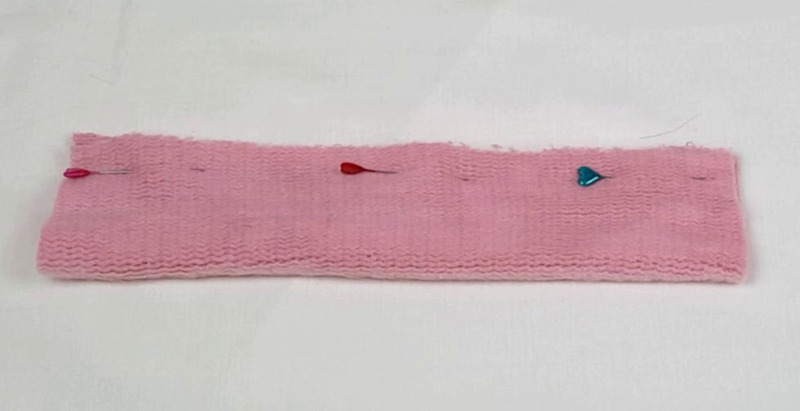 Use a running stitch and try to go through all the layers. Pull the thread tightly after you reached the end and wrap it around your piece a few times. 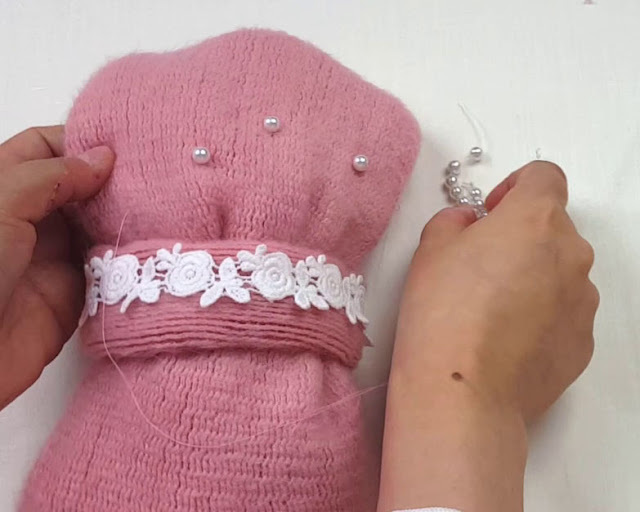 Take your second piece again and close the ends with a running stitch. Turn the piece inside out again. 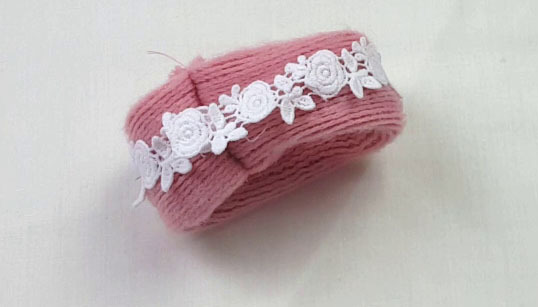 Pin your lace and sew it. Wriggle the second piece onto the first piece. 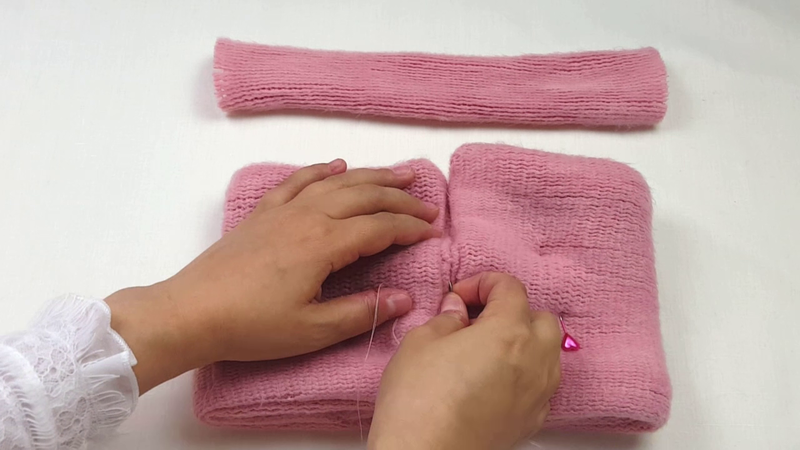 Use a whip stitch again to sew both pieces to each other. 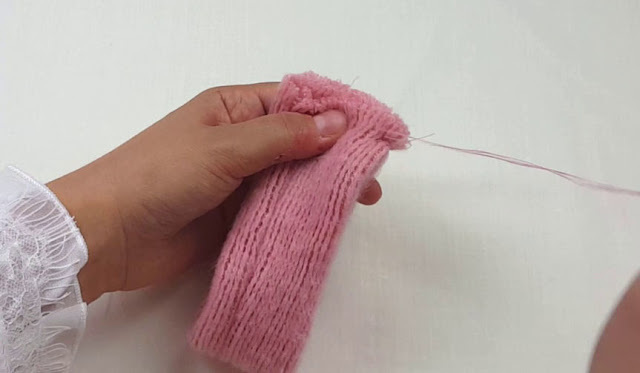 Be careful to only sew the front parts together. The back must be left out as to create a loop. Add the pearls and you are done! This is nifty! Thank you for sharing.